Because of what is happening with Creative Memories Australia and New Zealand I thought it was timely to look at how we can make our limited resources stretch a bit further. The great thing with the CM albums is that you don’t need a lot of papers and embellishments to make a great page. Personally I like to try to get as many photos on my pages as possible mainly to save on products, but it also helps reduce the weight and size of my albums. Some of the albums with lots of pages can get really heavy! 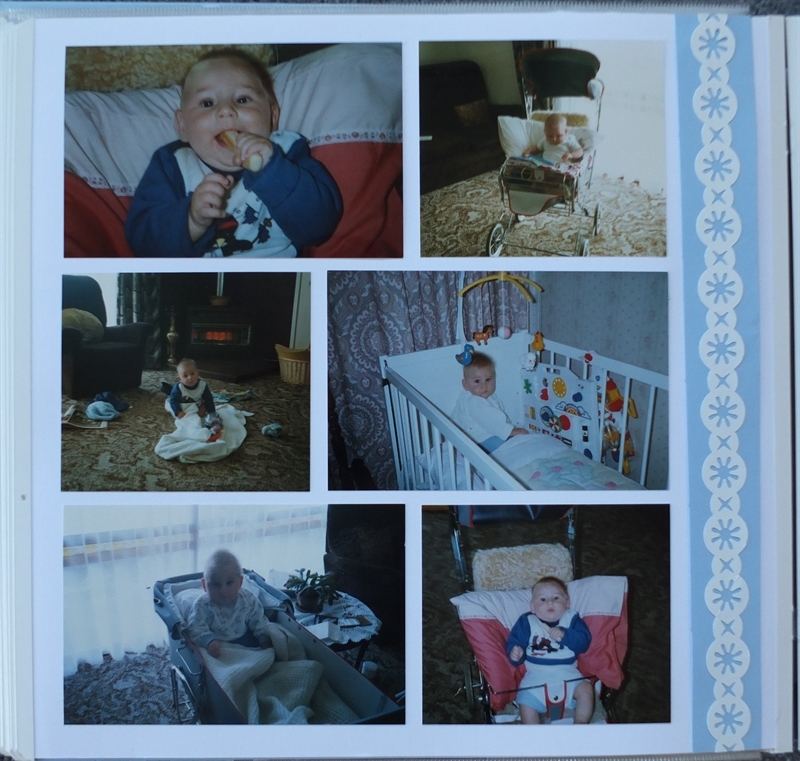 Also using lots of photos can help to get an album completed more quickly as well. So there are lots of benefits to be had in being more creative with photos. 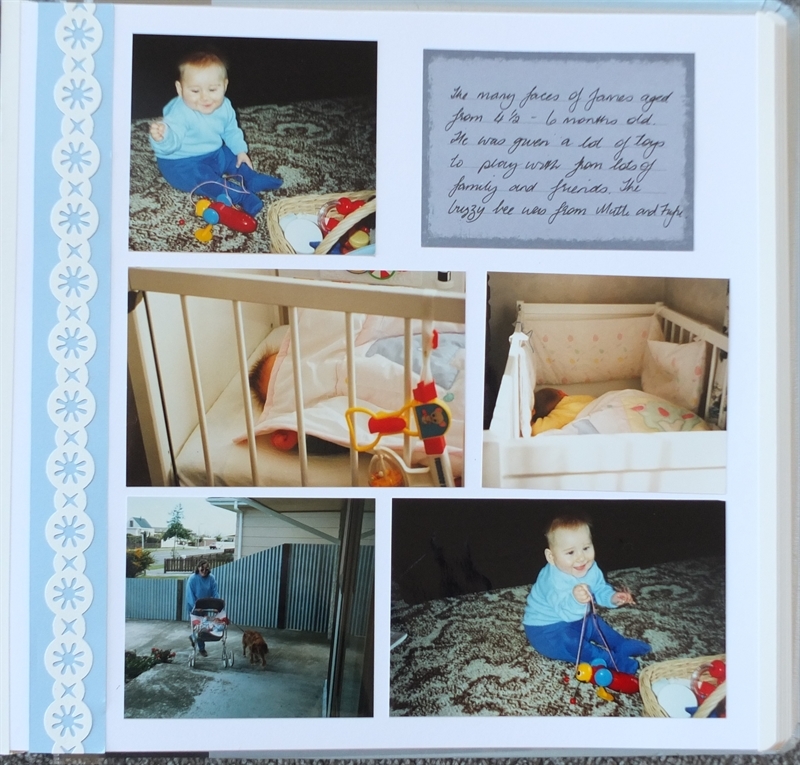 With this double page layout I have used 11 photos as well as a journalling paper. I had an eclectic mix of photos of James and they did not really fit in with any particular theme so decided to put them all together using my page planner (which unfortunately is no longer available) to help with sizing and placing. To keep with the overall theme of the album I have just placed a strip of cloud cardstock and white twinkle chain strip to tie the layout in with the rest of the album. Another way to say on products is to use the page protectors on every second page so as to make them go further (thank you Grace Green for that piece of advice). The photos are still going to have some protection from the plastic sleeves.